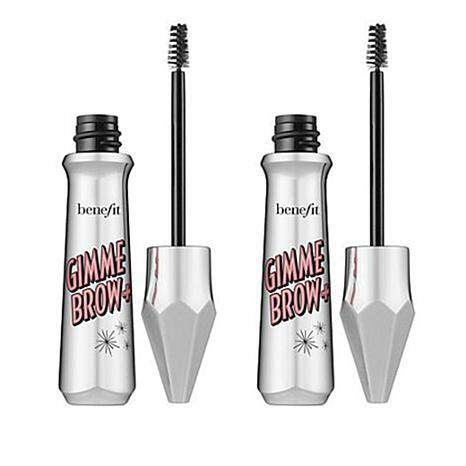 Double the volumizing brows with this 2-piece set from Benefit Cosmetics. gimme brow + Golden Blonde .1 oz. I have always had heavy brows but now that I am older, they have faded and thinned out a bit. Having tried other pencils, gels, etc., I found that this color and formula work perfectly on my brown brows without looking overdone or clownish. I have been using this product for years and I love the results! 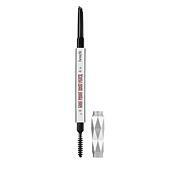 It really does cover the grey eyebrow hairs plus makes the brows look thicker and fuller as advertised. Don't hesitate to try this product as it is very easy to use and the end results are as advertised! Just doesnt work on me! So am returning! I did not find this product as wonderful as stated on HSN! It did not do much if at all for me! Sorry!